Four castor base (two locking) for stability. 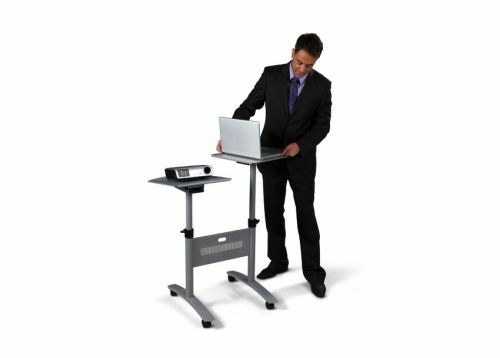 Height adjustable multi-media platform which tilts and pivots through 360° for maximum flexibility. 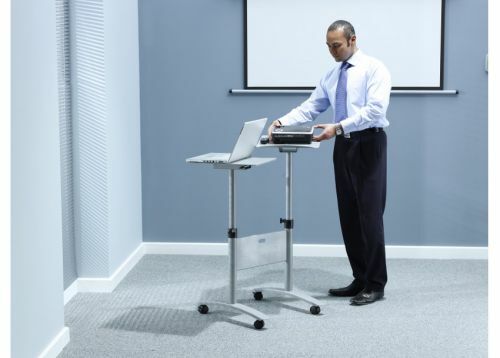 Twin platform to hold both DLP/LCD Projector and laptop.